‘Bluey’ Mooney was a senator for only six months. He brought to the Senate chamber a pugnacity that reflected his earlier industrial experience and his intense loyalty to the then premier of New South Wales, J. T. Lang. His entry to the Senate on 23 December 1931 meant that the number of Lang Labor followers in the Senate rose briefly to three, the others being Arthur Rae and J. P. Digger Dunn. Patrick Frederick Mooney was born near Eurobodalla on the south coast of New South Wales on 17 January 1880, the third son of Thomas, a farmer, and his wife Kate, née Browne. After primary school Patrick began work with his father (by that time a hotel manager and publican), managing hotels at Bega, Pambula and Tomerong. In 1908, in his late twenties, he moved to Sydney and to employment as a tram conductor, joining the Government Tramway Employees’ Association. He later became a tram driver. In 1911 at Randwick, in the Church of Our Lady of the Sacred Heart, he married Bridget Josephine Collins, aged thirty, of Yass; the couple would have six children. Tram conducting remained Mooney’s primary occupation throughout his life, though he lost his position, as did many others, in the general strike of 1917 and worked in a mixed grocery business and as a labourer before reinstatement in 1924. The circumstances of the conscription split in the Labor Party in 1916 and the subsequent industrial turmoil of 1917 fuelled Mooney’s entry into active politics. He had joined the Labor Party in about 1913 and by the time of the strike was vice-president of the tramways union; he ‘moved the motion calling the trammies out on strike’. His role in industrial labour increased thereafter and from 1920 to 1928 he was a member of the municipal council in Redfern where he lived. Industrial and local politics remained his major concerns for the next twenty years. He became a member of the New South Wales Labor executive and in 1924 was Mayor of Redfern. In December 1931 (a month after the Scullin Government was defeated on the floor of the House of Representatives) Mooney, closely associated with J. T. Lang, was nominated by him for the casual vacancy created by the resignation of W. L. Duncan. At a joint sitting of the New South Wales Parliament held on 23 December, Mooney defeated the rival nominee for the vacancy, Labor’s Albert Gardiner. 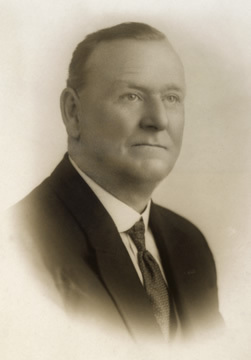 It was certain that Mooney’s career as a senator would be short as he had not contested the federal election held four days previously on 19 December when Duncan’s position was won by Nationalist candidate Charles Hardy. The question also arose as to whether his appointment to the casual vacancy was valid. Senator Sir Hal Colebatch thought not, but by the time Sir Hal expressed his concern, in April 1932, it was it seems too late for the matter to be raised before the Court of Disputed Returns. Colebatch was right when he said: ‘I can find no constitutional warrant or authority for a State Parliament to elect a member to fill a vacancy in the Senate except for the period between the occurrence of the vacancy and the next election’. As Colebatch knew, under the provisions of the Senate Elections Act 1903–1922, ‘a short casual vacancy shall be filled by the first candidate, not being a senator-candidate, who is elected to fill a periodical vacancy’ at a forthcoming election—in this case Hardy. (Had Hardy been appointed to the existing vacancy before taking up his place on 1 July 1932, he would have gained six months on top of his six-year term). It seems that either in ignorance or guile Lang furthered his own cause before anyone noticed. Mooney himself was probably unaware that his casual appointment should have been dependent on the election, and in any case the relevant electoral legislation was almost unreadable. Mooney attended only twenty-seven sitting days in the Senate (missing three days without leave) and spoke only five times, but his interventions were forceful and displayed no undue awe of his surroundings or opponents. His first speech—to the Address-in-Reply in March 1932—lasted nearly an hour and, like his later speeches, was essentially a justification of the policies of the Lang Government in New South Wales that had secured his casual appointment. ‘I cannot see’, he said, ‘how the interests of the people of Australia can be protected in these days if we are to look first to the interests of the bondholders overseas’. Anxious that reference ‘to Mr Lang should be respectful’, Mooney said it was ‘fortunate that the people of New South Wales have a man prepared to fight when he thinks he is right’. Mooney attracted interjections but dealt with them confidently and was in turn acknowledged as a sincere and capable, if mistaken, loyalist to the Langite cause. As he said typically, ‘senators opposite . . . do not know the hardships that are being visited upon the people of [New South Wales] as well as I do. That is why I am in a position to speak more authoritatively for them than are honorable senators interjecting’. Burly and red-headed (as he explained to the Senate, he was never a communist but was ‘naturally red’), Mooney’s major contributions to politics were made at the local level. Redfern Council under his mayoralty was said to be the first to introduce the 44-hour week and he remained an active councillor as Lang’s power in the State slowly declined in the 1930s. Mooney’s health, too, was probably in decline by 1935, his final year on the council. He died, aged sixty-two, on 23 December 1942 and was buried in the Roman Catholic cemetery at Botany. His wife and children, Catherine, Mary, John, Patricia, Imelda and Bede, survived him. SMH, 24 Dec. 1931, p. 10; Bulletin (Syd. ), 30 Dec 1931, p. 13, 1 Jan. 1925, p. 20; Labor Daily (Syd. ), 18 Dec. 1924, p. 1, 24 Dec. 1931, p. 5; Information provided by Ross Connell, City of Sydney Archives; Advertiser (Adel. ), 29 Apr. 1932, p. 19; CPD, 3 Mar. 1932, pp. 540–1; NSWPD, 23 Dec. 1931, pp. 7656–8; Senate Elections Act 1903–1948. CPD, 3 Mar. 1932, pp. 550–3, 5 May 1932, pp. 388–90, 19 May 1932, pp. 1102–5; Bulletin (Syd. ), 30 Dec. 1931, p. 13. This biography was first published in The Biographical Dictionary of the Australian Senate, vol. 2, 1929-1962, Melbourne University Press, Carlton, Vic., 2004, pp. 408-410.